Colorado Felony DUI Guide - Tiftickjian Law Firm, P.C. It is a Class 4 Felony in Colorado to commit DUI, DUI per se, or DWAI and to have three prior convictions for any of these offenses in one’s lifetime. A felony DUI is punishable for up to 6-years in prison in the presumptive range of the Colorado Revised Statutes, unless extraordinary aggravation causes a court to enhance the sentence up to 12 years. A felony DUI charge is file in District Court for the county where the crime was alleged to have occurred. Prior to 2015, Colorado was one of only a handful of states that had no repeat offender law that elevates a DUI offense, where no one was injured, from a misdemeanor to a felony, solely on the basis of prior DUI convictions. Repeated efforts in the legislature to do so in the past were defeated primarily due to fiscal concerns, as well as the recognition by some lawmakers that the state does not spend nearly enough on treatment and that prison offers little in the way of real rehabilitation. Nonetheless, repeated attempts to pass a Felony DUI law were expected, particularly after Governor John Hickenlooper pronounced the passage of a felony DUI bill a key priority in his State of the State address in January 2015 and again in a March 2015 news conference after a pending bill had apparently stalled. House Bill 15-1043 passed the Colorado House of Representatives by a 64-1 vote on April 15, 2015. The bill, as it appeared at that time, would have made a fourth DUI conviction a class 4 felony, carrying a potential prison sentence of two to six years, or upon a third such conviction, if the violation occurred within seven years of two prior convictions and if certain aggravating circumstances applied, such as damage or injury, a blood alcohol content of 0.15 or higher, if the defendant fled the scene, or if a minor was in the vehicle at the time of the offense. 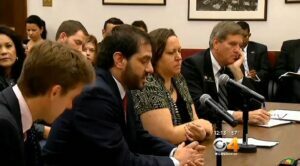 On April 28, 2015 following a key amendment which eliminated the “third strike” aggravated DUI provisions, and the addition of language in another amendment that would require judges to consider treatment as an alternative to prison sentences, the bill was passed by Colorado’s Senate Judiciary Committee by a 5-0 vote. On the final day of the legislative session, May 6, 2015, the Colorado Senate passed the amended version of the bill 34-1. The felony DUI bill was signed by Governor Hickenlooper and became law for alleged offenses committed on or after August 5, 2015. The most recent amendment, HB 17-1288, was passed and signed by the governor on June 6th, 2017. It creates mandatory minimum jail sentences for felony DUI offenders who are sentenced to probation, and applies to all offenses committed on or after August 9th, 2017, it sets minimum sentences for felony DUI convictions, which is written about in more detail here. This bill requires the court to order as a condition of felony probation that the Defendant serve a minimum of 90 days in jail or 120 days in jail for if an alternative sentence program is available and authorized, such as work-release. Thus, three prior qualifying convictions sustained at any point in the defendant’s lifetime are sufficient to raise the fourth such offense to a class 4 felony, even if the current offense and any or all of the previous convictions were merely DWAI convictions. 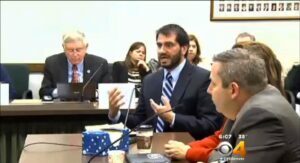 Jay Tiftickjian in the Colorado Legislature testifying against felony DUI. (b) A person who drives a motor vehicle or vehicle while impaired by alcohol or by one or more drugs, or by a combination of alcohol and one or more drugs commits driving while ability impaired. Driving while ability impaired is a misdemeanor, but it is a class 4 felony if the violation occurred after three or more prior convictions, arising out of separate and distinct criminal episodes, for DUI, DUI per se, or DWAI; vehicular homicide, as described in section 18-3-106 (1) (b), C.R.S. ; vehicular assault, as described in section 18-3-205 (1) (b), C.R.S. ; or any combination thereof. Under what is now C.R.S. section 42-4-1301(1)(j), prior out-of-state convictions for a DUI, DWI, DWAI, and OUI offense also qualify if the act involved would have qualified for prosecution in Colorado for any of the foregoing offenses. Since the criteria for a DWAI is so low, “impaired to the slightest degree,” virtually all out-of-state convictions will likely qualify as previous convictions for the felony DUU law. “Conviction” means a verdict of guilty by a judge or jury or a plea of guilty or nolo contendere that is accepted by the court for an offense or adjudication for an offense that would constitute a criminal offense if committed by an adult. “Conviction” also includes having received a deferred judgment and sentence or deferred adjudication; except that a person shall not be deemed to have been convicted if the person has successfully completed a deferred sentence or deferred adjudication. If a defendant is convicted of a class 4 felony pursuant to this section, the court shall sentence the person in accordance with the provisions of section 18-1.3-401, C.R.S. In imposing a sentence to incarceration, the court shall impose a definite sentence which is within the presumptive ranges set forth in subsection (1) of this section unless it concludes that extraordinary mitigating or aggravating circumstances are present, are based on evidence in the record of the sentencing hearing and the presentence report, and support a different sentence which better serves the purposes of this code with respect to sentencing, as set forth in section 18-1-102.5. If the court finds such extraordinary mitigating or aggravating circumstances, it may impose a sentence which is lesser or greater than the presumptive range; except that in no case shall the term of sentence be greater than twice the maximum nor less than one-half the minimum term authorized in the presumptive range for the punishment of the offense. Upon a finding of extraordinary aggravating circumstances, the sentencing judge could theoretically order a defendant to serve a prison term of up to twelve years for commission of a class 4 felony. In addition, C.R.S. section 18-1.3-401(8) requires the court, if it sentences the defendant to incarceration, to impose a sentence of at least the midpoint in the presumptive range (four years in the case of a class 4 felony) and up to twice the presumptive maximum (twelve years). They include situations where the defendant was on parole for another felony when the offense was committed, as well as those where the defendant was on probation, or on bond following revocation of probation for another felony. (II) (A) Notwithstanding the provisions of subparagraph (I) of this paragraph (k) [which invokes the sentencing provisions of C.R.S. section 18-1.3-401], before the imposition of any sentence to the Department of Corrections for a felony DUI, DUI per se, or DWAI offense, at sentencing or at resentencing after a revocation of probation or a community corrections sentence, the court shall consider all the factors described in sub-subparagraph (b) of this subparagraph (II). 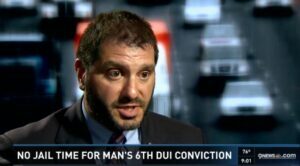 (B) If the court sentences the defendant to the department of corrections for a felony DUI, DUI per se, or DWAI offense, it must determine that incarceration is the most suitable option given the facts and circumstances of the case, including the defendant’s willingness to participate in treatment. Additionally, the court shall consider whether all other reasonable and appropriate sanctions and responses to the violation that are available to the court have been exhausted, do not appear likely to be successful if tried, or present an unacceptable risk to public safety. Thus, courts are expressly encouraged to consider alternatives to prison such as probation and community correction treatment programs, particularly where, for one reason or another, the defendant has not had the full benefit of such diversionary programs. This, of course, puts a serious obligation on defense counsel at sentencing to demonstrate that such alternatives have not been exhausted. As a condition of parole of each person convicted of a felony DUI offense described in section 42-4-1301 (1) (a), (1) (b), or (2) (a), C.R.S., the board shall require the parolee to use an approved ignition interlock device for the entire period of the person’s parole. As noted above, class 4 felonies in Colorado carry a mandatory three-year period of parole. Nothing in HB 15-1043 specifically prohibits plea bargains to avoid the felony provisions, and some D.A.s, particularly in close or uncertain cases, may want to use the DUI felony as a “hammer” or “bargaining chip” against the defendant. Because the new version of 42-4-1301(1)(j) requires the prosecution to “set forth such prior convictions in the Indictment or Information,” a plea of guilty to an amended Information omitting the same and charging the present DUI offense as a misdemeanor should be sufficient to avoid the felony. 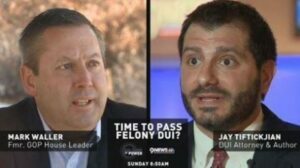 If you or a loved one is charged with Felony DUI in Colorado, there is a lot at stake. No one can support a family from prison, so finding a way to present your case in the best way possible is critical when negotiating a disposition or moving forward to trial on the charges. For your best option when facing a felony DUI in Colorado, consider Tiftickjian Law Firm today.